Wolfen is absolutely a classic of the horror genre. Released in succession after the likes of Altered States, The Howling and An American Werewolf in London it actually provides more tension than the rest because it doesn’t overdo the creature effects. The Howling is probably the most famous of the three films yet after purchasing and watching the blu-ray I realized something 33 years later… It’s just not scary. The transformations are graphic but feel too long and drawn out now. As an adult I find that werewolves just are no longer scary. Neither is Dracula. At least American Werewolf was funny and had a charismatic lead. 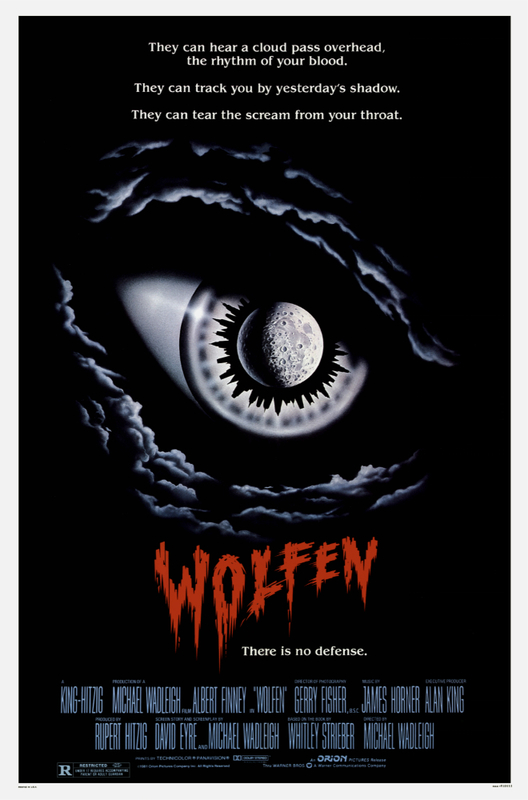 Where Wolfen exceeds it’s genre roots is in it’s attention to plot details and character development. Albert Finney is believable as a burned out cop and Gregory Hines is a treat as his co- star/sidekick the coroner. There are scenes in this film that work on a suspense level that few others can muster and the abandoned tenements provide a creepy location for their two man reconnaissance. As far as 80’s horror goes this is essential viewing.